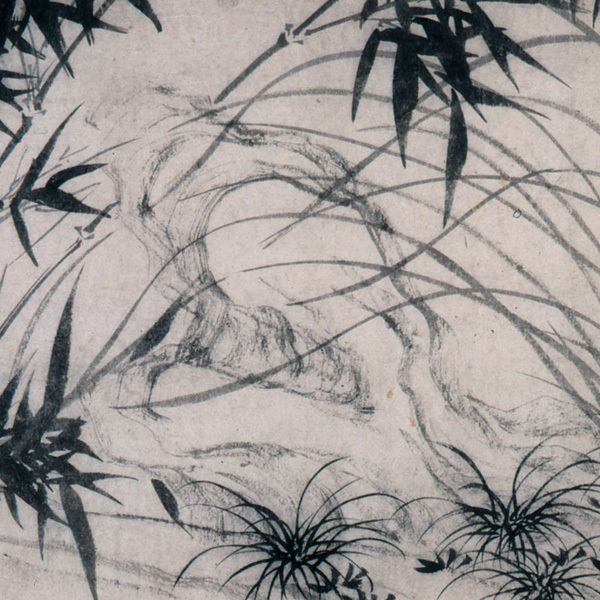 Wen Zhengming was one of the leading artists of the Wu school, the scholar-painters who carried on the amateur tradition in Chinese painting during the Ming dynasty (1368-1644). Having had an official career in the Hanlin Academy in Beijing, he retired early to his native city of Suzhou, a cultivated intellectual center. There, having access to original works by the great painters of the past in private collections, Wen Zhengming became an outstanding critic and connoisseur of painting. Although his notion of style was bound to the canons governing forms and motifs laid down by past masters, this did not prevent him from introducing invention and change in his own work. This painting is an example of the artist's mature style of the 1530s. 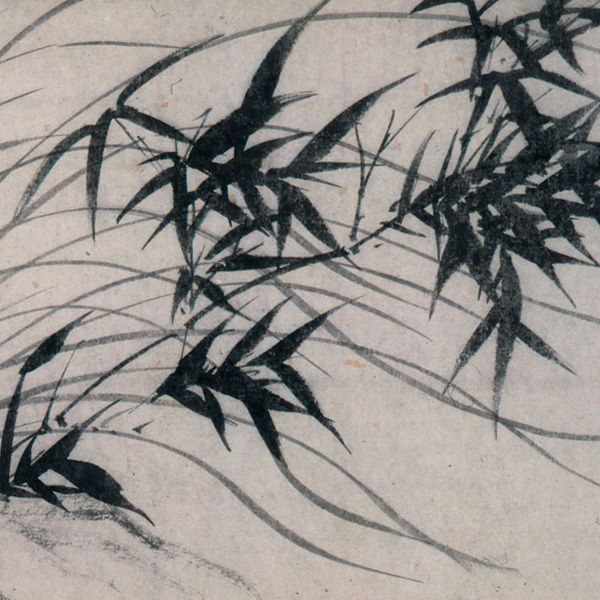 A superb calligrapher as well as a painter, Wen Zhengming wrote in his own hand the poems on the scroll. Both the calligraphic text and the painting suggest that subject matter was a pretext for exploring formal concerns and technique. The orchid and the bamboo- understood as moralizing symbols in earlier periods- had lost their metaphorical content by the sixteenth century.